Many of you might have read about liposuction in our previous articles and might associate with this article. It is to be noted that this article is completely different from those articles and the major area of focus in this article are the sweetest part of your face – the Lips. Many in this world are blessed with a good pair of lips while the others are trying various cosmetic products to enhance the beauty and the texture to their lips and making it more sweeter than ever. For such people, this article is a bonus, since we will have a glance about the Lip injection, its cost and the procedures involved in it. Lip Injection is one among the procedures used for lip augmentation to enhance the nature of the lips cosmetically to give it a plumper. Also it will give beautiful look by using the injections to fill the layers of the lips. This is commonly called as the lip injections. These injections are unique from one another and may be used for serving various purposes based on the nature of the purpose. Artecoll, which is helpful to plump the lips contains some synthetic material and also shows some risk of allergies to the skin. Autologen is an injection type. It does not show any allergies, since the substances of this injection is extracted locally from the patient’s immune system. Collagen is an injection which contains the nutrients extracted from the cow and carries some risks of allergies. Dermalogen is the type of injection which are obtained from the deceased donors showing some temporary relief stuff. Fascia is an injection which are prepared either from the patient’s body or the deceased donor. This can either be implanted through injection or by surgical procedures. Other types of injections which can be used are Hylaform and the Restylane which are widely used in common practice for the lip augmentation procedure. Even though, lip injection may be a part of the procedure in the lip augmentation procedure, it has several benefits on its own. Almost all the types of injections contains the chemical acid called the hyaluronic acids. 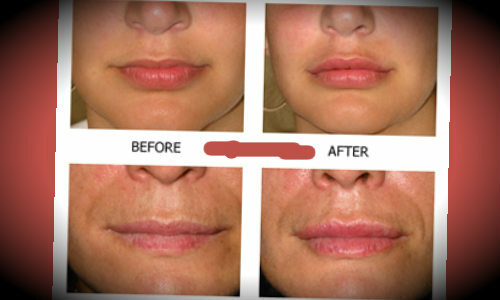 These are normally present in the body and performs the main function of filling the layer of the lips. It helps in shaping the structure of the lips. These acids are usually present in our body and at times the deficiency of these acids in the body may force in opting for lip injections. These injections always have a certain limit which is permissible to be injected inside the body. 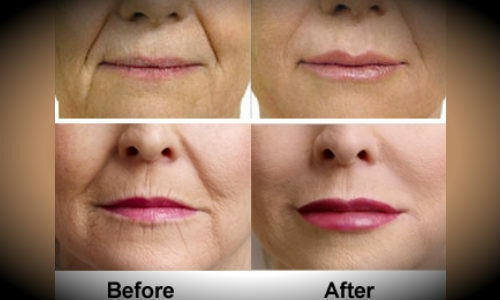 This helps the surgeons or the medical experts to easily determine the amount of volume the lip has been enhanced. There is no compulsion or necessity that these injections are to be injected on a particular interval or a stipulated period of time, but can be injected whenever there is a need for increasing the volume. The structure of the lips until the expected outcome is achieved. Hence this treatment can be done on a gradual pace without any hastiness. 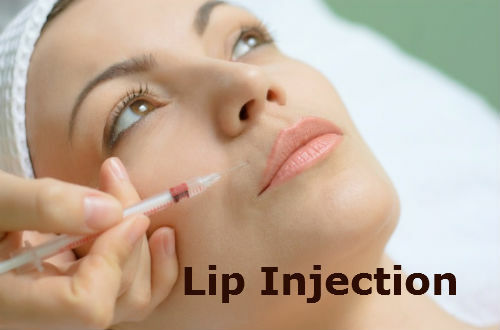 Also, the arousal of any bumps or lumps caused due to the voluntary actions of the lips can be easily rectified with the help of these injections. These bumps and lumps can be entirely dissolved with the help of these injections. The results that are obtained from the treatment usually get extended to longer period of time. It is to be remembered that they are only kept for a longer period of time and they do not ensure a permanent relief at any cost. 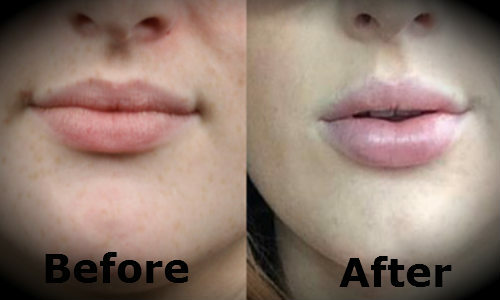 When comparisons are made between the lip augmentation procedures, there is a clear cut indication that there are least possibilities of any swelling or bruises that may occur when compared to the other procedures. In most cases, there are no signs of allergies occurring to the patient’s since the solution to be injected is either taken from the body of they are usually a mixture of the acids which are commonly found in the body. 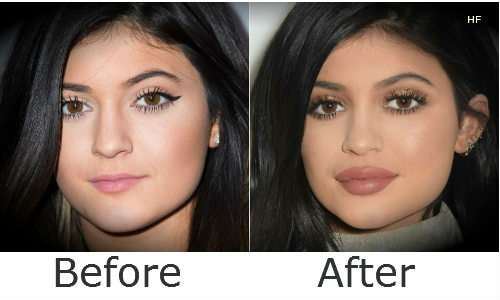 The normal cost of these lip injections usually ranges on an average of $550 to $650 US Dollars. It is usually taken in two doses a week for the first time users who undertake the dose for lip enhancement. 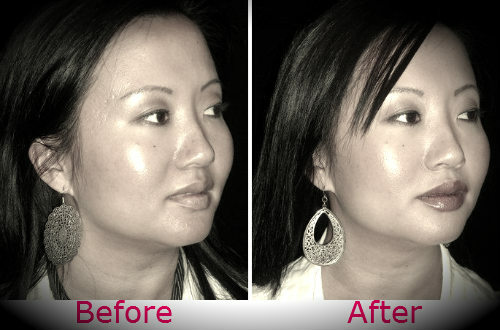 Also the doses which are mostly taken by them are either the Restylane or the Juvederm. It is obvious, many patients require only a single dose for the treatment whereas for others it may extend to one more extra dose. The cost is almost similar in all parts of the world. On the first scale, we are having a look at the lips before the lip injection is injected. It shows that there is no proper structure and irregular sizes of these lips. This is due to the lack of hyaluronic acids. On the other hand, have a close look at the same pair of lips which has gained structure and elongated size after the lip injection containing the hyaluronic acids is injected into the lips.